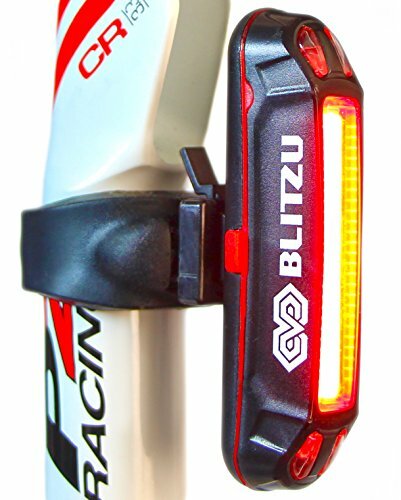 I've been using this new bicycle light lately from Blitzu. It's the highest rated LED light strip made specifically for bicycles and helmets. It uses a silicon attachment that allows the light to mount vertically or horizontally and outputs an astonishing 120 lumens of light (both front and rear). I currently have the rear red light mounted on my MSC bike and it's awesome. It's super bright and comes with strobe, normal flashing, and always-on settings all in low-powered or high-powered modes. Definitely makes me more visible at night. If you want to get them, please use the links below and help support this site! 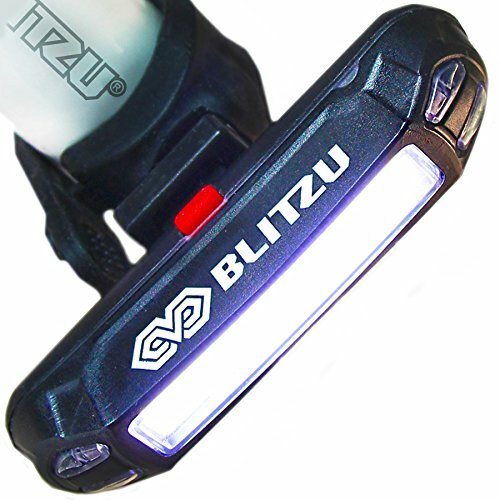 New Generation Blitzu 120H USB Rechargeable Bike Headlight - Bicycle Helmet Light - 120 Lumens Super Bright LED Front Light - Waterproof, Easy Tool-Less Installation.